This entry was posted on December 14, 2012 by Sports Traveler. 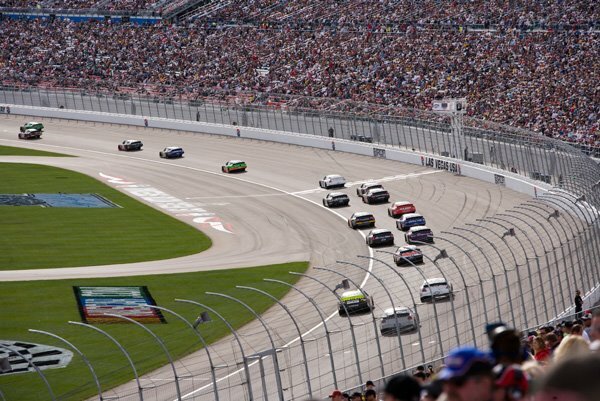 One of the most popular races on the NASCAR Sprint Cup series is the Kobalt Tools 400 at Las Vegas Motor Speedway. Las Vegas is also one of the biggest tour attractions in the country. Combining the natural excitement of a trip to Vegas and the thrill of stock car racing creates a recipe for an incredible experience. Lucky for NASCAR fans that the race takes place on March 10, 2013 so the sun shouldn't be too intense for patrons attending the race. *Jimme Johnson is 1 of 3 drivers to win this event in consecutive years. Jeff Burton did it first in 1999 & 2000, and Matt Kenseth did it from 03-04. Since this week's featured blog focuses on the 2013 Kobalt Tools 400, we will also assign the odds for the 15 drivers with the best chance to win the championship next season. These odds come directly from the Wynn Hotel & Casino in Las Vegas. I would agree with this assessment for the most part. I personally would have assigned better odds for Tony Stewart but these odds seem pretty legitimate otherwise. I am little surprised that Carl Edwards is ranked so low but he is coming off a season where he struggled throughout. It will be interesting to see if he can turn things around in 2013. Perhaps he can score his second career victory at Las Vegas Motor Speedway to get his 2013 season going in the right direction. Edwards should have a pretty good opportunity with a career average finish of 10.25, which ranks him second all-time among drivers. This year's champion Brad Kesolowski has never finished higher than 26th position in 4 career starts. Jimmie Johnson leads all drivers with an average finish of 9.82 in 11 career starts.